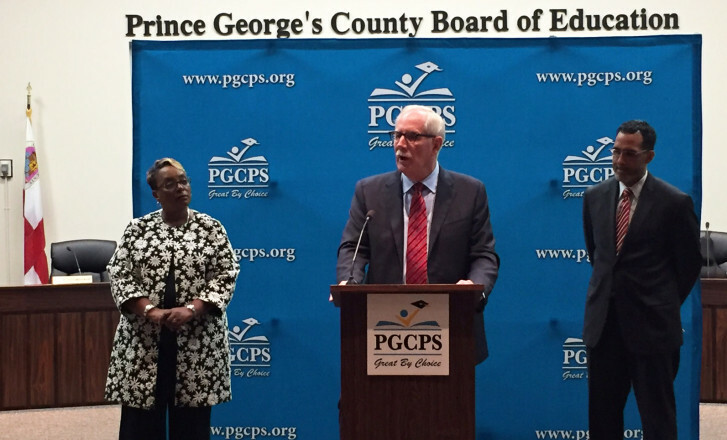 Prince George's County Public Schools officials announced dozens of changes that will be rolled out to better protect students from the hands of sexual abusers Tuesday. UPPER MARLBORO, Md. — Prince George’s County schools officials will set up a new office of accountability and will roll out dozens of policy, training and even curriculum changes and in an effort to protect county students from physical and sexual abuse at the hands of adults they are supposed to trust. 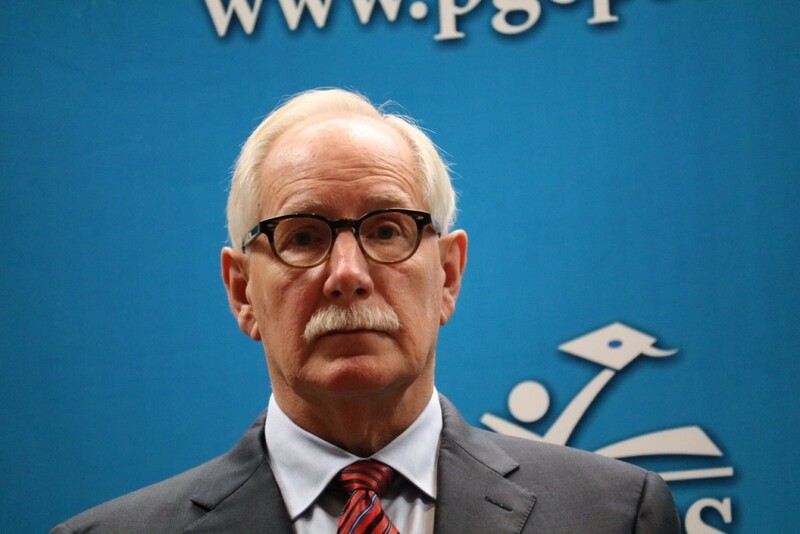 “I believe it is our duty to protect the children in our care,” said in his opening remarks on a student safety task force report released to the public Tuesday. The report is part of the schools system’s response to the arrest of an aide who was charged with coercing students to engage in sexual activity with other students and with the aide. Deonte Carraway, 22, now faces more than a dozen federal and state charges. Court documents have said that some of the sexual activity took place at Judge Sylvania Woods Elementary School, were Carraway volunteered. Maxwell said he’ll work to implement all or most of the 61 recommendations detailed in the task force’s 50-page report including the screening of employees, volunteers, visitors and vendors. Maxwell also said he agreed with a recommendation that he be required to report to the public each year on all school system efforts related to student safety. Principals will be evaluated in part on how they implement student safety measures. Maxwell said he will also create a new office on monitoring, accountability and compliance. The report also calls for partnering with outside experts to help train staff on identifying patterns that raise red flags and could indicate that a child or children are being “groomed” for sexual abuse. Court documents have said that school staff knew or suspected Carraway’s exploitative behavior and even reported their concerns to the school’s principal, who was placed on administrative leave soon after Carraway’s arrest. Her current employment status was not clear Tuesday. “If it is discovered that anyone employed by our school system failed to act in accordance with the law and our polices of reporting, I will take swift and decisive action,” Maxwell said. The task force faced its own criticisms for not holding public meetings. But Charlene Dukes, president of the Prince George’s Community College and chair of the task force, said that it was necessary for the task force to operate outside the public’s view. “There were questions that we were going to be asking that we wanted people to be candid in their responses so that we could come forward with a report that would really move the school system forward,” Dukes said. Segun Eubanks, chair of the Prince George’s County Board of Education, said he shared the “bewilderment” of parents who wondered how someone like Carraway could operate inside a school building. “The board is committed to do whatever is necessary to make sure that our children receive a quality education and that Prince George’s County schools have policies and procedures in place to protect every single student,” Eubanks said. Carraway’s case has changed the way students need to be protected and educated by the schools, said State’s Attorney Angela Alsobrooks. “In today’s society, much of what we see is not strangers who present the danger, but it’s individuals who are known to children, who are trusted by children,” Alsobrooks said. Educating children about modern threats that seemingly trusted adults pose to today’s students was among the task force’s recommendations. The report calls for creating age-appropriate information for children to help them identify and report cases of abuse. Alsobrooks commended the work of the task force.